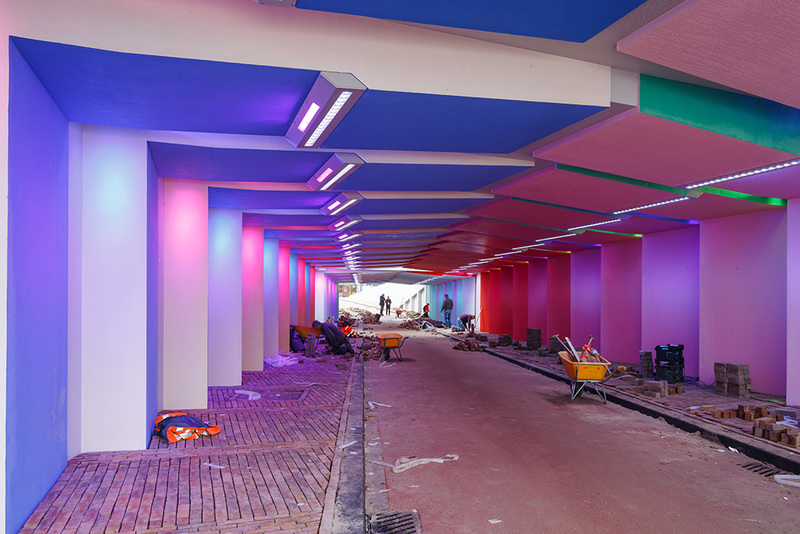 Today, light designer Herman Kuijer unveils two newly completed light installations for the Dutch historical town of Zutphen. 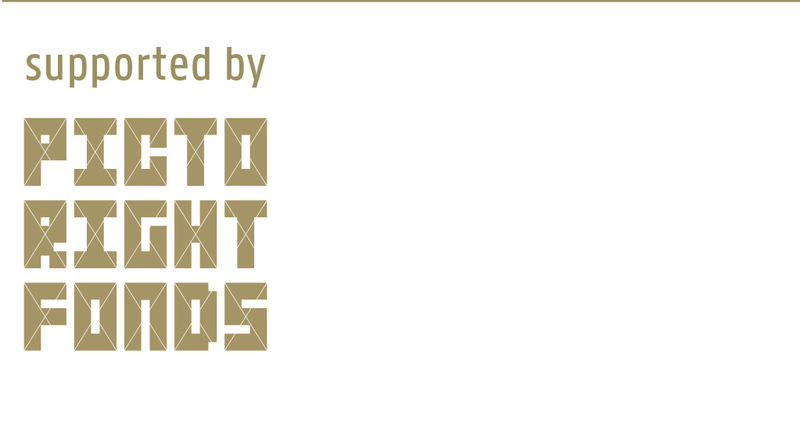 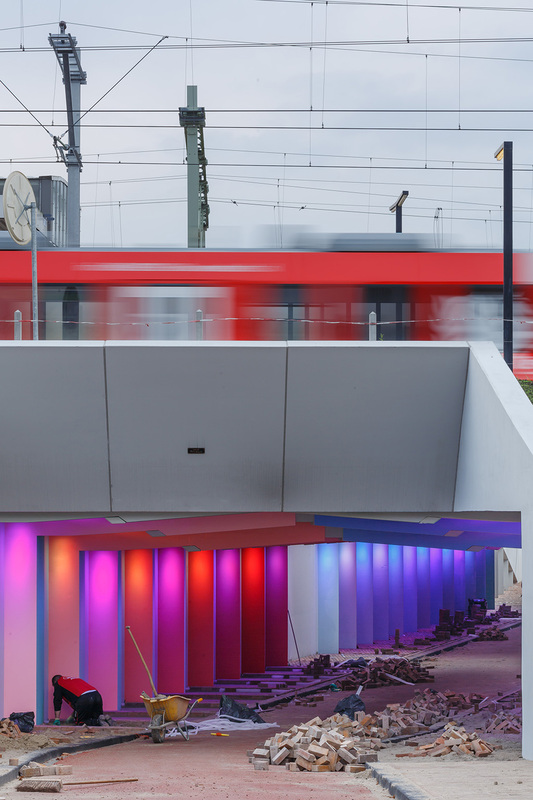 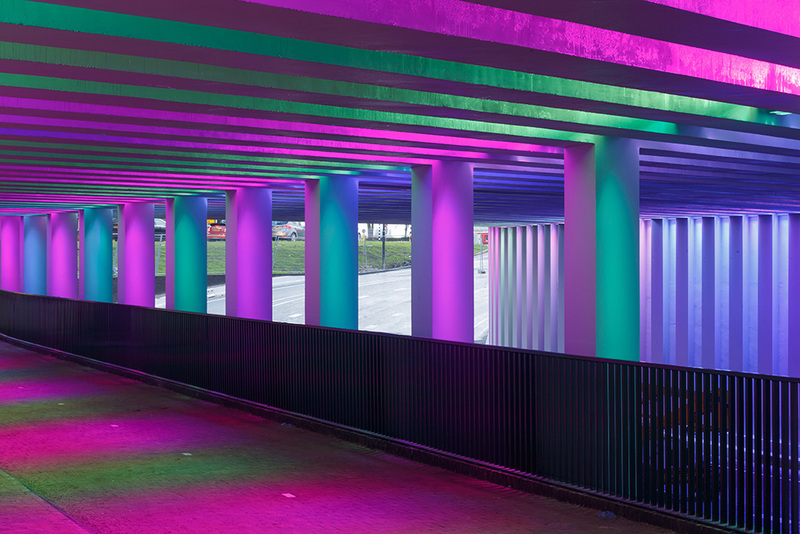 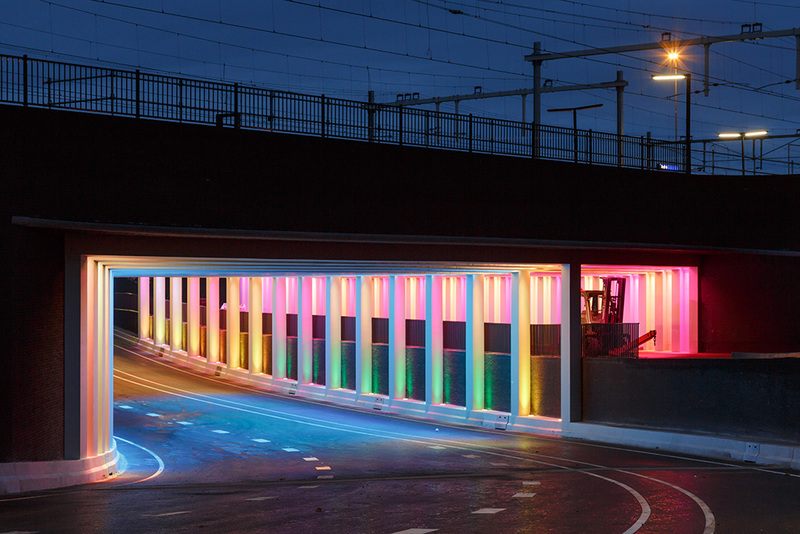 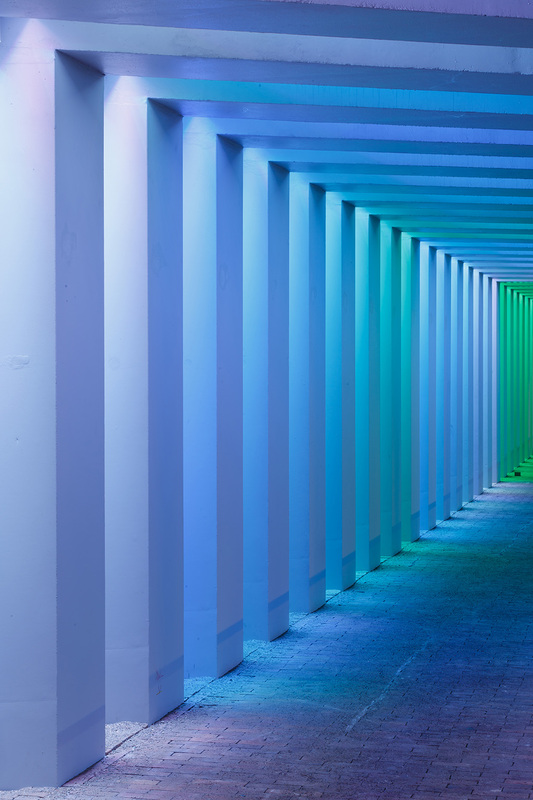 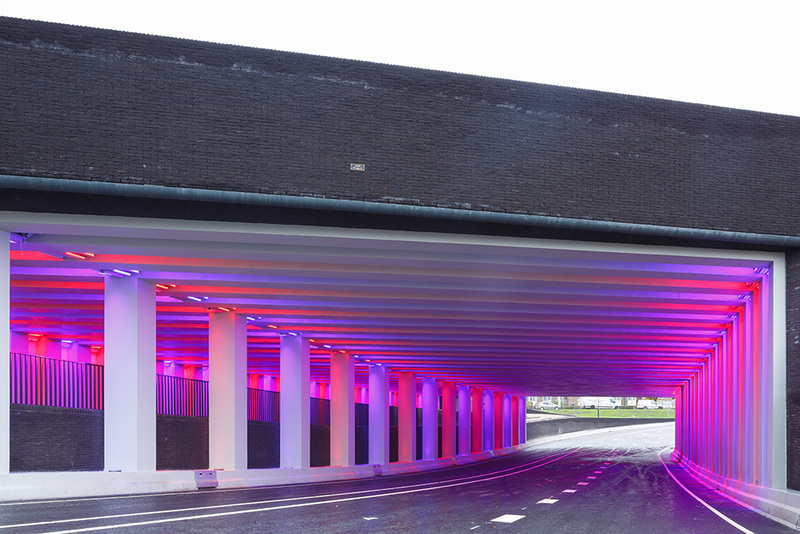 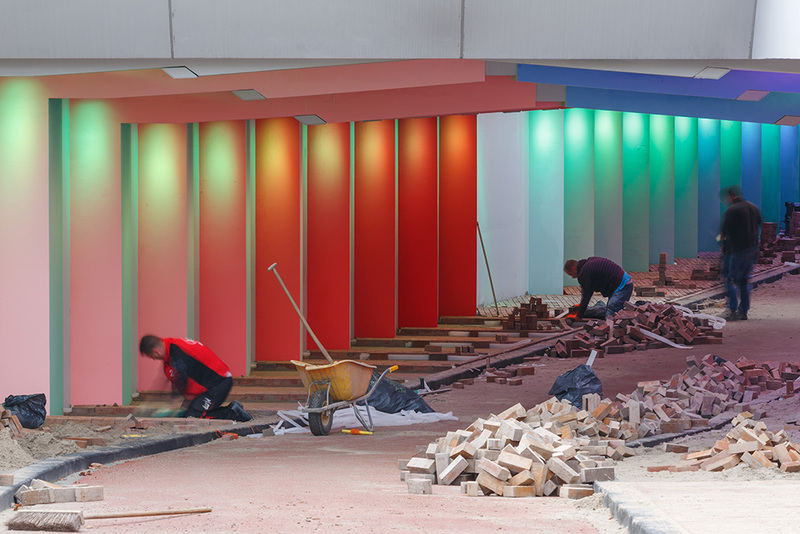 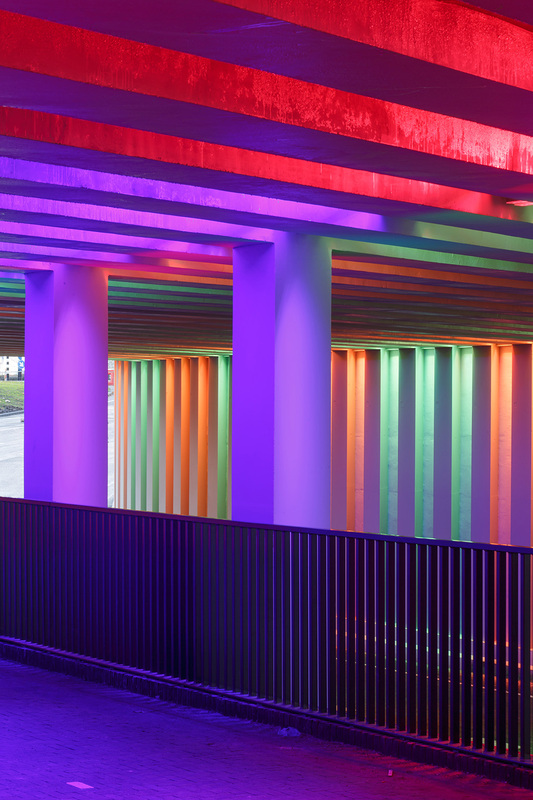 These site-specific, permanent light installations are located at two different underpasses near the train station. 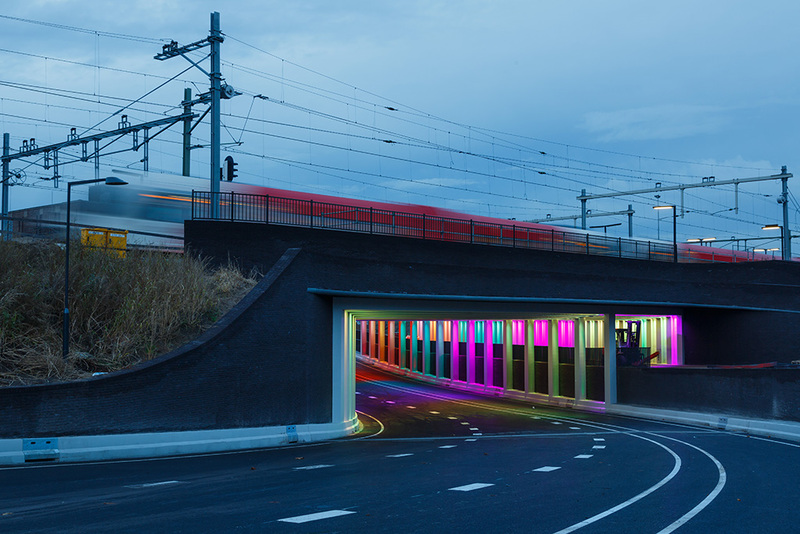 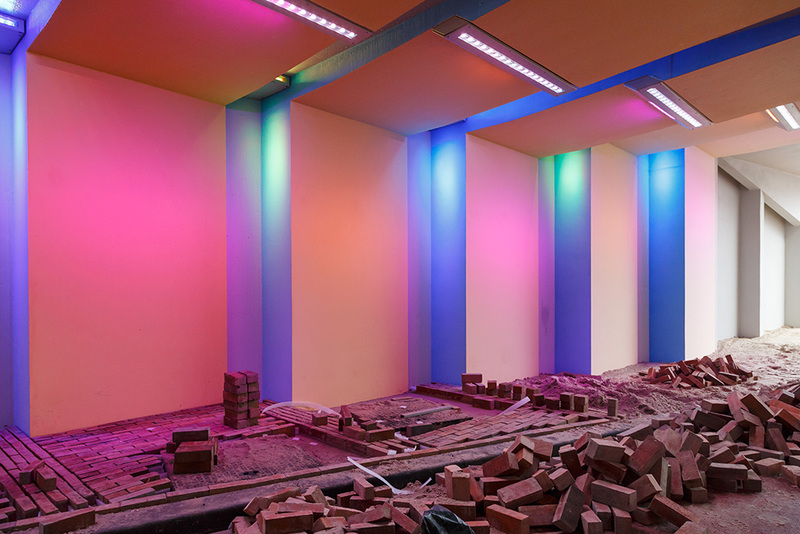 Herman Kuijer was commissioned by ProRail in collaboration with the City of Zutphen. 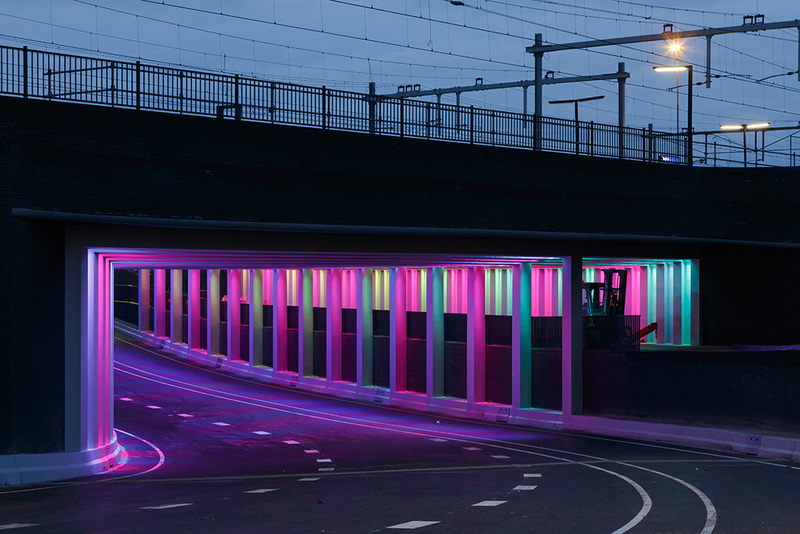 Thousands of lamps in hundreds of fittings are controlled by a computer programme that was specially developed by Kuijer. 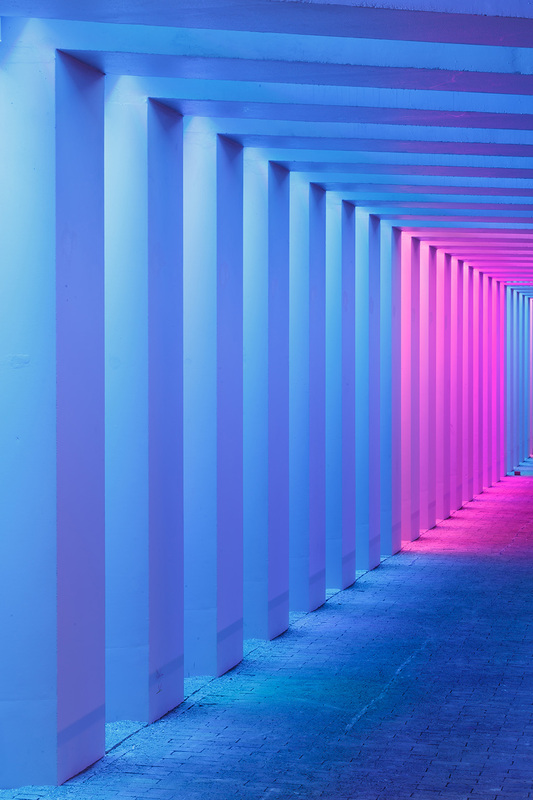 The light gradually takes on different colours. 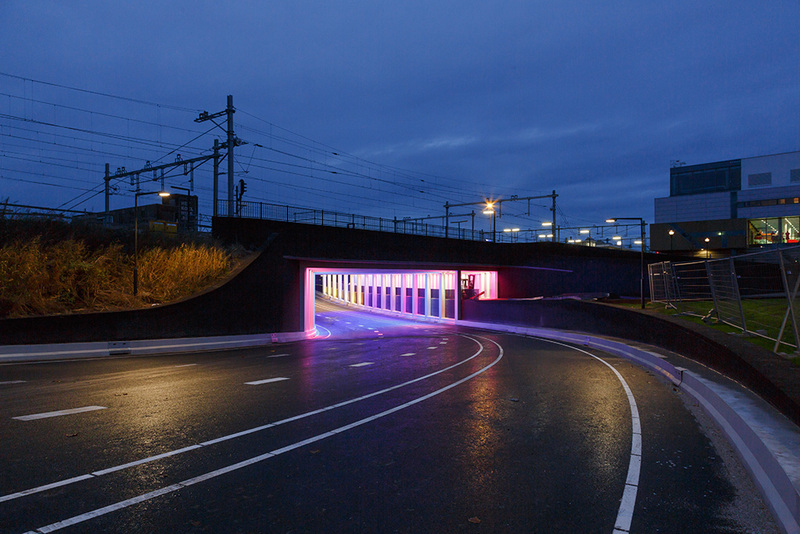 Incidentally, both art installations also have a function: the visibility of the road is excellent.